From Argentina to Siberia, Papua New Guinea to London and New York, Light Box explores lives in transition, in a world where boundaries and human relationships are shifting. An astronaut struggles to adapt to life back on earth; a young man discovers he is going blind in a foreign city; a retired plastic surgeon uncovers old wounds; and two lovers become unexpectedly intimate. Each tale in K J Orr’s moving collection is charged with the irrepressible human urge to connect in the face of disorientating change. With exquisitely cadenced storytelling, Orr introduces us to worlds and places that are at once both familiar and askew. She creates landscapes that are instantly recognisable, yet tinged with a lingering sense of uncertainty. The result is a wonderfully diverse and captivating debut from a rising literary talent. "Poignant, observant, profound: K J Orr's stories – like waves against a breakwater – bristle with tremendous, barely-concealed power." Light Box shortlisted for the Edge Hill Short Story Prize 2017. More info here and here. Light Box shortlisted for the Republic of Consciousness Prize. More info here. Light Box included in publisher picks of 2016 in the Guardian. More info here. Light Box selected as a book of the year 2016 in the Observer. More info here. 'Disappearances' (from Light Box) wins the BBC National Short Story Award 2016. More info here, here, here and here. 'Disappearances' to be broadcast on Radio 4 at 3.35pm on 23 September 2016, read by David Horovitch. More info here. K J Orr discusses her BBC NSSA shortlisted story 'Disappearances' on Front Row, Radio 4. K J Orr shortlisted for the BBC National Short Story Award 2016: More info here, here, here and here. Interview on Light Box with writer Adam Marek: More info here. Light Box reviewed by The Short Story: More info here. Piece for The Guardian on Light Box and some favourite short stories: More info here. Light Box reviewed by Rebecca Jacobs in the TLS: "The power of these stories lies in the ease and speed, yet plausibility, with which they become unsettling." More info here. Light Box reviewed by Stephanie Cross in The Lady: "Orr has a gift for taking the reader deep into the still, intensely private places at the centre of a life." More info here. Piece on the short story and poetry: More info here. Piece on much loved recent story collections: More info here. Interview with 26: More info here. Interview with Bookanista: More info here. Interview with The Irish Times: More info here. 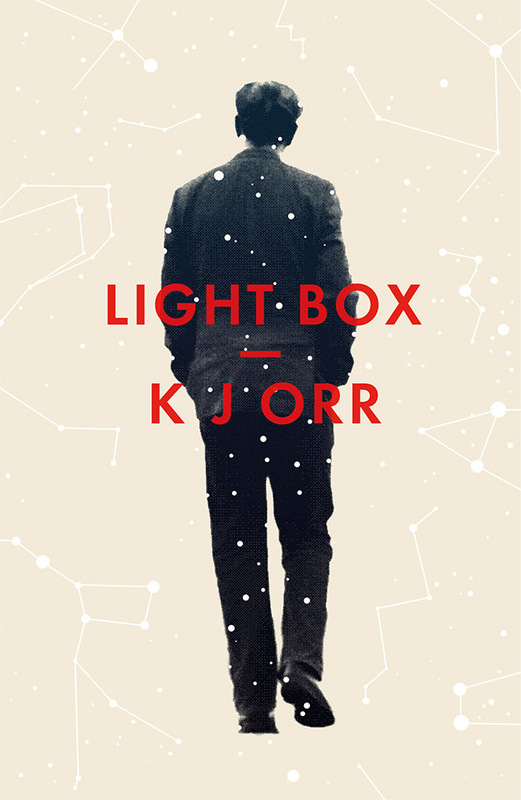 Light Box reviewed by Sarah Gilmartin in The Irish Times: "Changes in rhythm are central to K J Orr's highly accomplished debut collection, Light Box. Just as the titular machine provides 'a shock of bright white light' that makes the astronaut's wife squint, the English author's stories have a vividness and directness that leave the reader reeling." More info here. Light Box chosen as Collection of the Year for the Bristol Short Story Prize: More info here, here, and here. K J Orr was born in London. Light Box, her first collection of short stories, was shortlisted for the Edge Hill Short Story Prize and the Republic of Consciousness Prize in 2017, and includes ‘Disappearances’ which won the BBC National Short Story Award 2016 and ‘The Human Circadian Pacemaker’, shortlisted for the NSSA in 2011. Light Box was selected as a book of the year in the Observer and a publisher pick of the year in the Guardian in 2016. 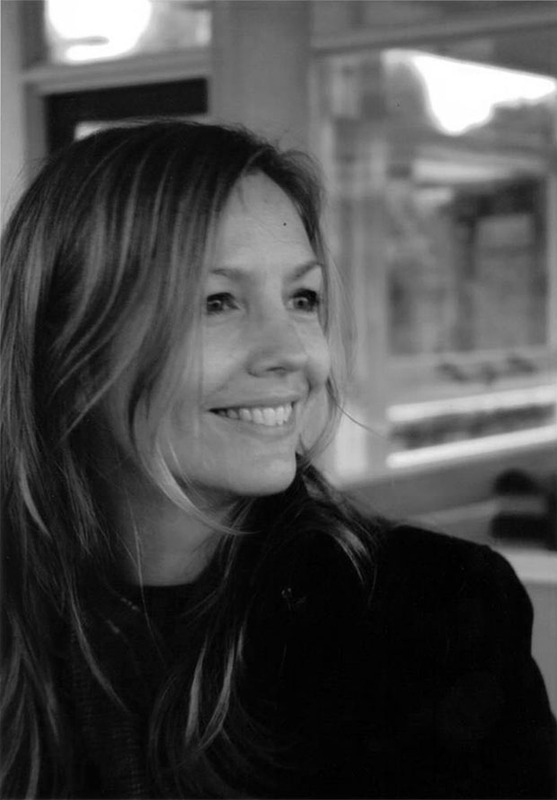 K J Orr’s stories have been recognized by numerous awards, and have appeared in publications including Best British Short Stories 2015, the Irish Times, the Dublin Review, the White Review and the Sunday Times Magazine. In 2012 Daunt Books published her story The Inland Sea as the first of their limited edition short story series. Her short fiction has been broadcast on BBC Radio 4, commissioned, anthologized, translated and adapted for film. Her essays and reviews have appeared in the TLS, the Guardian and Poetry Review, among others. She holds a doctorate in Creative Writing, for which she explored liminality in short fiction through critical and creative writing. In addition to other teaching roles, from 2016-2018 she held a Creative Writing Fellowship at the University of East Anglia, where she taught on the MA and MFA programmes. From 2018-2019 she has mentored for the Word Factory Apprentice Award, and continues to work as a writing mentor.